Oxford Scientific Films, founded in 1968, is fifty years old today! 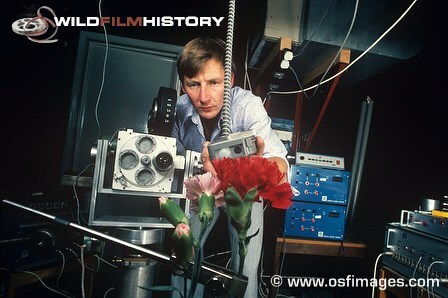 Founded in 1968, Oxford Scientific Films (OSF) is a leading producer of factual film and television programmes. They have earned an international reputation for producing a broad range of high quality factual television from pure and popular natural history to specialist factual and documentary television. Founded on 8 July 1968, by noted documentary filmmaker Gerald Thompson, the independent film company broke new ground in the world of documentaries, using new filming techniques and capturing footage of never before filmed activities of its various subjects. In 1967, cinemicrophotography pioneer, professional film maker, and Oxford University lecturer Gerald Thompson, was approached by the Ealing Corporation of Harvard about expanding its catalogue of short educational films. Universal Education and Visual Arts, a New York City, company also was interested in talking with Thompson about the works he'd produced. Thompson and five of his associates and former students: Peter Parks, who worked with plankton; John Paling, a fish specialist who worked with Parks; recent Oxford graduate Sean Morris; zoologist John Cooke; and Eric Skinner, who assisted Thompson with his films, wanted to form an independent film company. Thompson and Parks travelled to America to meet with the two companies to show their work. At the end of the meeting, they told the head of the company about their desire to open their own company and, impressed with the films he'd seen, he offered to finance them for the first three years and give them the funds to build a place to work. When they returned to the United Kingdom, Thompson sold them a quarter acre of his garden, at a steeply discounted price, to be the home for the new building. They formed Oxford Scientific Films, taking part of the name from Parks' existing company Oxford Biological Films. Thompson, Parks, Morris, Paling, and Thompson's son David, headed the new company, which began operating on 8 July 1968. Thompson remained at his position at Oxford University while the company building was being completed, while the other four travelled to America to make the film loops for Ealing. Thompson resigned from the university on 2 September 1969, taking on the work at Oxford Scientific Films full-time. The company focused initially on filming nature at a microscopic level, including insect and aquatic wildlife. Using specialised equipment and camera techniques the developed themselves, the company gained fame for its ability to record never before seen footage of the natural world. 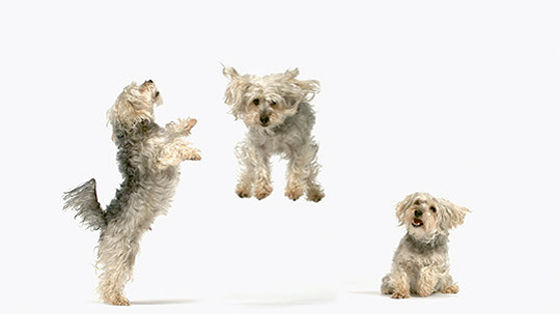 Its cinematographers became experts in micro, macro, snorkel, slow-motion and time-lapse photography. 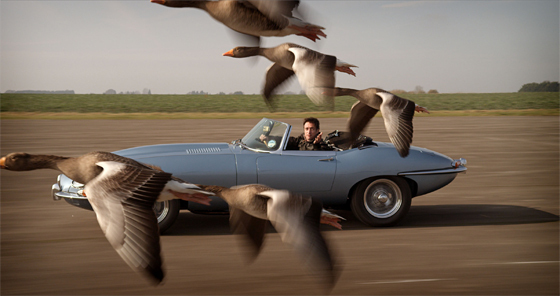 As the company grew, it expanded into other innovating filming and post-production techniques, and moved from creating short loops to creating television programmes and series, commercials, and feature films. 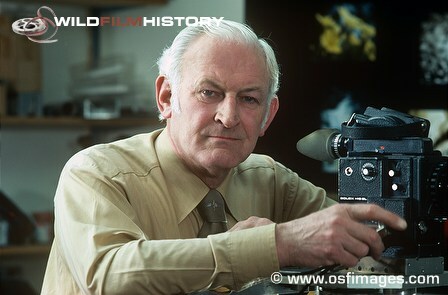 One of the founding members of Oxford Scientific Films (OSF), Gerald first became interested in wildlife film-making whilst working as a lecturer for the Forestry Department at the University of Oxford. After several years of taking stills of his study species, he realised that moving images would be much better at showing other people how these insects behaved. 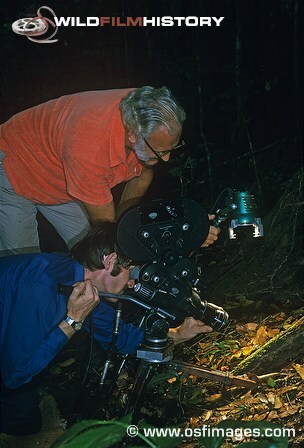 Along with Eric Skinner, his skilled technical assistant, he developed novel techniques in filming insects without over-heating the subjects and overcoming the problems of vibration when using close-up photographic techniques. After the success of their first film - The Alder Woodwasp and its Insect Enemies, Gerald and Eric went on to produce many more educational films. In 1967 Gerald joined forces with Peter Parks, who had developed similar techniques for filming minute subjects; and together with John Paling, Sean Morris, John Cooke and his son, David, set up Oxford Scientific Films. Since then OSF has become world famous for its wide range of specialist cinematography. Gerald Thompson was awarded an OBE for Services to the Film Industry in 1981 and received the Panda Award for Outstanding Achievement at Wildscreen 1998. Oxford Scientific Films is now a BAFTA and Emmy-award-winning producer of contemporary factual, natural history, science and history. Known for outstanding and innovative programmes that rate. They have a passion for storytelling and are proud of the company’s heritage as a technological pioneer. 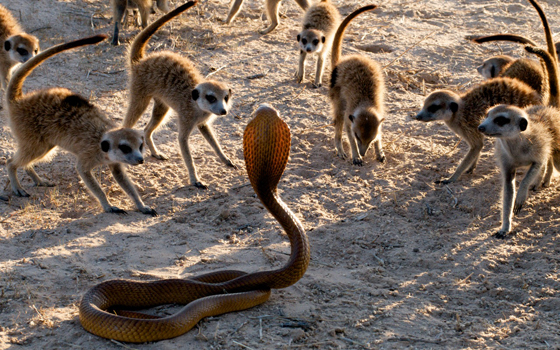 Oxford Scientific Films supplies high-end factual programming to broadcasters in the UK and North America. Oxford Scientific Films is part of the Boom Cymru Group, an ITV Studios company. 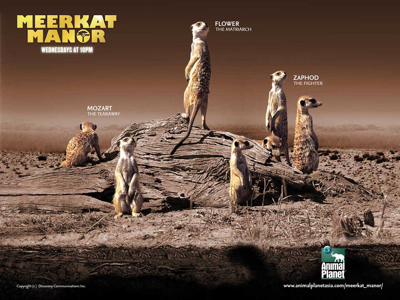 The company’s most notable programmes include the global hit series Meerkat Manor for Animal Planet; Fatal Attractions also for Animal Planet; Bafta winning Saving Africa’s Witch Children; ratings hits Secret Life of Dogs, Secret Life of Cats and Secret Life of Babies, Animal Odd Couples, Animals in Love; and the award-winning Richard Hammond’s Miracles of Nature and Wild Weather with Richard Hammond. From its early origins as an award winning producer of brilliantly crafted natural history films renowned for their extraordinary camerawork OSF has continued to build on its reputation for innovation. Examples of OSF’s creative innovation include highly stylized dramatic reconstruction (Fatal Attractions and Frankenstein and the Vampyre); developing new presenters (including Jim Al-Khalili, Philippa Gregory and Julian Clary); visual beauty (Secret Life of…, How to Win the Grand National, Plant Odysseys and Animal Odd Couples); use of archive (Frankel and Henry Cecil, Messages Homes: Films from the Forgotten Army); and 3D (Meerkats 3D and Pandas: The Journey Home). 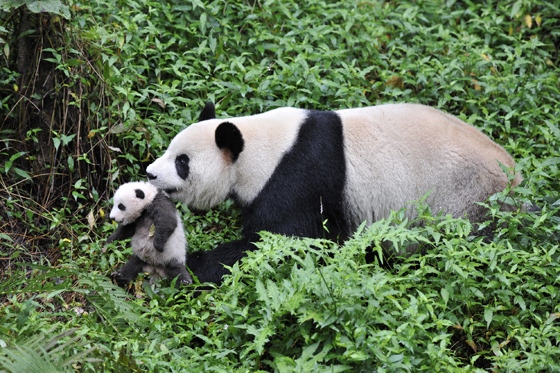 OSF have won numerous awards over the years including a Bafta, Emmys, World Medals and Pandas. Recent awards include Saving Africa’s Witch Children (Bafta, Best Current Affairs Programme, Emmy, Best Current Affairs), Richard Hammond’s Miracles of Nature (Gold Medal, New York Festival, Best Hosted Programme Jackson Hole Wildlife Festival 2013) and Wild Weather with Richard Hammond (Gold Medal, New York Festival 2015) Based in London and Cardiff OSF continues to produce programming for broadcasters in the UK, the USA and around the world. The films we produced for theatrical exploitation in the large format/special venue market are currently on screens delighting audiences globally. OSF's passion for storytelling, technical innovation and playing with the specialist factual genre blending factual with drama, comedy, features etc continues to drive them. The current leadership team are Clare Birks (CEO), Caroline Hawkins (Creative Director), both since 2004, and David Arrowsmith (Executive Director of Development) since June, 2018. 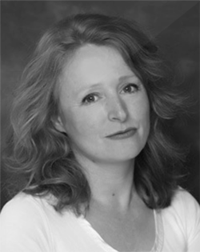 Alice Keens-Soper had been Head of Specialist Factual since 2008 but left the company last week due to personal reasons. When asked if the all-female management team (until very recently) had been in anyway indicative of OSF's success over the past 10-15 years, Caroline Hawkins (the brains behind Meerkat Manor) said "We are rather proud of our success as an all female team because early on we were not taken that seriously by some in the industry, slightly dismissed, but we blithely carried on and believe that we ended up surprising a few people". She modestly said that she didn't think that "being female has made our programmes any better or worse than anybody else" but when asked if Meerkat Manor could've come from a man's head, she laughed and said "if there's a female trait in it, much like all the films I make, I want people to emotionally connect, so I always think that if I haven't make people cry or haven't made them laugh, then it hasn't really worked." "I do think that emotional connection is really really important in the sucess of film-making. But I don't know if that's a purely female thing. We do sometimes laugh and say that we are a matriachy!" "We have been proactive in encouraging young women to become directors, and we are proud of that. Men too, of course!" 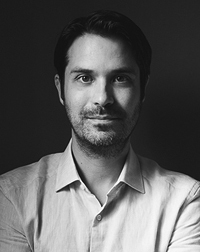 David Arrowsmith has just joined OSF from DSP as executive director of development. He will focus his efforts on developing OSF’s returning series and specials in the factual space. Caroline Hawkins said "David is full of ideas and has clearly proved himself at Darlow. We needed someone young, full of energy and ideas to come and join the team. He has been with us for a week and will be a real asset." A pod of bottlenose dolphins find a human in their midst, but one they know well, having shared the ocean with the Haenyeo or "Sea Women" for thousands of years. Oxford Scientific Films will continue to push the boundaries, blending popular television with science-based factual film-making. Current projects include The Secret Life of The Farm and a series on Australia. 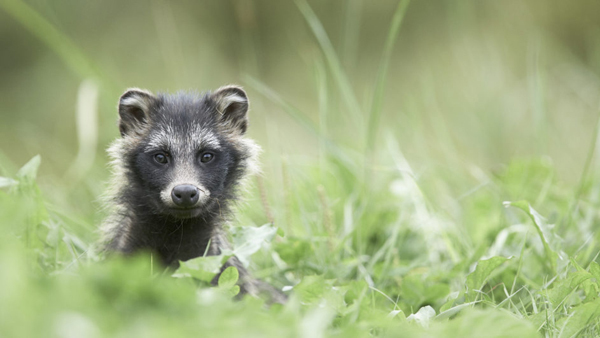 Caroline Hawkins said that she is "delighted that conservation is no longer a dirty word. In the past there was a disturbing tendency for natural history programmes to focus on the beauty of fantastic shoaling fish and lemurs in pristine forest, whilst turning their backs to the empty ocean and the vast sisal plantation; giving people a false sense of what is really happening in those locations and habitats. We shouldn't be telling people that all is well when it most certainly is not". She praised Blue Planet II for making a difference and said that programmes like Blackfish and Virunga have given commissioners the confidence to say "Okay, conservation isn't a dirty word now, but come to us with a way of doing it that is not going to turn people off. Make docs that are really going to engage people, not make them feel hopeless.” “I would like to find ways to energise people, even in small ways, to make a difference. I really hope that the next chapter of OSF is about change and helping people to look after the planet... That would be the perfect legacy for me". In 1996, Oxford Scientific Films was sold to Circle Communications, where it retained its own identity as a division within the company. The following year, Circle Communications was taken over by Southern Star Entertainment UK. 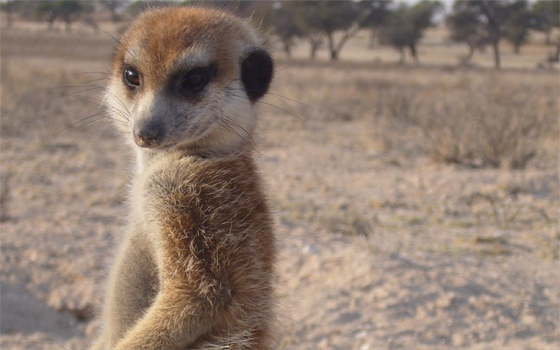 Under the new ownership, Oxford Scientific Films continued to enhance its reputation for innovative film-making, producing multiple award-winning series and films, including the highly acclaimed Animal Planet series, Meerkat Manor, which went on to become their highest rated series. In March 2008, Southern Star merged its Sydney-based factual business division into the Oxford Scientific Films division, retaining the brand name for specialist documentaries, while using "Southern Star Factual" as the brand name for its features and entertainment style documentaries. When Southern Star was sold to Endemol, Oxford Scientific Films was retained by parent company Fairfax Media. 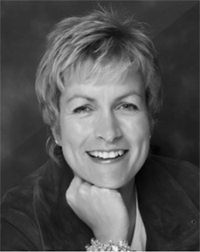 In 2011 Clare Birks and Caroline Hawkins undertook an assisted management buyout, taking a 30% stake in the business and selling the remaining 70% to Boom Pictures Productions. Subsequently ITV Studios bought the Boom group of companies in 2015, so OSF is currently majority owned by ITV Studios.